Recent changes in Japanese security policy have been applauded as ‘the biggest revisions in the country’s defense policy since adoption of the 1947 constitution’. There is a new National Security Council, a National Security Strategy , a National Secrecy Law , new National Defense Program Guidelines , reinterpretation of the Constitution to permit Japan to exercise the right of collective self-defense , new US-Japan bilateral defense guidelines , and security legislation that turns those documents into deliverables. That legislation took effect this week. Alarmists worry about a resuscitation of Japanese militarism. More sensible and discerning assessments point out that these changes are evolutionary and adaptations to changing circumstances, ‘a small, yet essential, step for Japan as it travels the path of a normal security policy ’. Amidst the handwringing and back slapping, little attention is being paid to structural factors that conspire to limit Japan’s capacity to sustain a higher and more expansive hard-security profile. Japan’s demographic trajectory and the inability of Abenomics to gain traction mean that Tokyo’s international influence is likely to be at its apogee, and will level off and eventually decline. Tokyo won’t be irrelevant, but we may well be witnessing ‘Peak Japan’. When he returned to the Prime Minister’s Office in 2013, Shinzo Abe made clear that he understood that the future of his administration and his Liberal Democratic Party, along with Japan’s international status and standing, rested on economic recovery . He developed a radical program, dubbed ‘Abenomics ’ that would provide the foundation for assertive diplomacy and forward-leaning security policy. Three years on, the verdict is mixed : Abenomics’ targets haven’t been hit and economists fear they remain well beyond reach. Growth is stagnant or slow, productivity gains limited and debt continues to expand. More worrisome is Japan’s demographics : the ‘greyest’ country in the world will continue to age and its population is set to shrink from the current 127 million to 100 million just before 2050; by 2060 population it’ll have shrunk to 86.74 million and nearly 40 percent will be age 65 or older. More ominous still, the workforce, which was 65.77 million in 2013, will plummet 42% by 2060, to 37.95 million. The economic implications of that trajectory are profound: Japanese productivity and economic dynamism will fall, budget choices will become tougher and the resources and energy for security and foreign policy activism will be harder to find. This future isn’t guaranteed—Japan could open its doors to foreigners, or it could finally unleash the productive power of women (a largely underutilized resource)—but if the past is prologue, it’s a near certainty. If so, then Japan and its friends and allies should act now to mitigate the negative consequences. Second, partners and allies must work with Tokyo to ensure that Japan stays engaged despite the many forces—more than just economic; social and legal pressures are equally powerful—that push it away from regional affairs and turn its focus inward. Tokyo must be drawn out, given a stake in regional outcomes and pushed to play as prominent a security role as possible. One way to do this is to conceptualise security broadly and to identify ways for Japan to contribute that don’t focus on purely military means. Japan has championed comprehensive security for over three decades; this should provide a framework for efforts that are congenial to Japanese resources, capabilities and thinking. Calibrating this tension is essential. Japan must be pushed to do more, even while its partners remain conscious of the domestic circumstances that create resistance to such initiatives. Australia will be central in this effort. 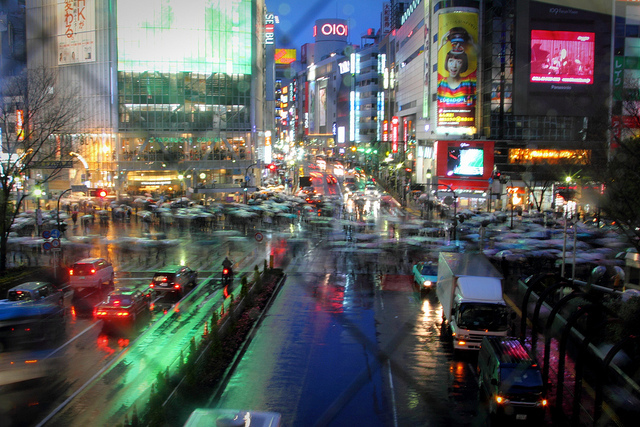 Canberra has emerged as Tokyo’s preferred security partner (after the US). The two governments have overcome a bitter and difficult history to forge a ‘special strategic partnership’ that reflects shared values and interests. It includes an expanding institutional infrastructure with regular leadership meetings, an array of security instruments and coordination with their mutual alliance partner, the US. Australia should continue to press Japan to work with it across a spectrum of security and foreign policy issues. There should be diplomatic coordination bilaterally and in regional and international forums. Of special importance is outreach to third parties throughout East Asia to press for respect for the rule of law, human dignity and the peaceful resolution of disputes. Australia and Japan should be planning, along with the US, for regional contingencies, as well as expanding cooperation, including joint exercises. While its alliance with the US will remain the cornerstone of Japanese security policy, the real focus of its diplomacy and foreign policy in years to come should be Asia. Forging a new, forward-looking and constructive partnership with all its Asian partners, and fending off the urge to reduce those relations to zero-sum calculations, will consume Japanese diplomats and politicians. Commitment and creativity will be a premium. It is a lot to ask, but Japan should be up to the challenge. Brad Glosserman is executive director of the Pacific Forum CSIS. This post is drawn from his recent ASPI Special Report, Peak Japan and its Implications for Regional Security. He is the author, with Scott Snyder, of The Japan-South Korea Identity Clash: East Asian Security and the United States (Columbia University Press, 2015).